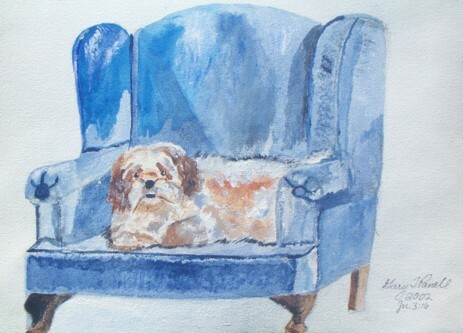 Original acrylic. 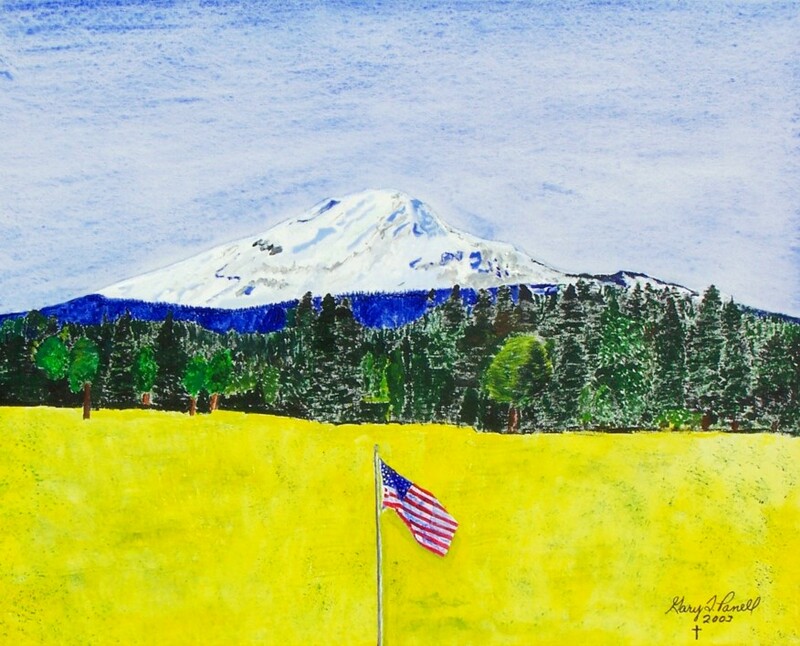 An American flag in front of Mt. Adams. 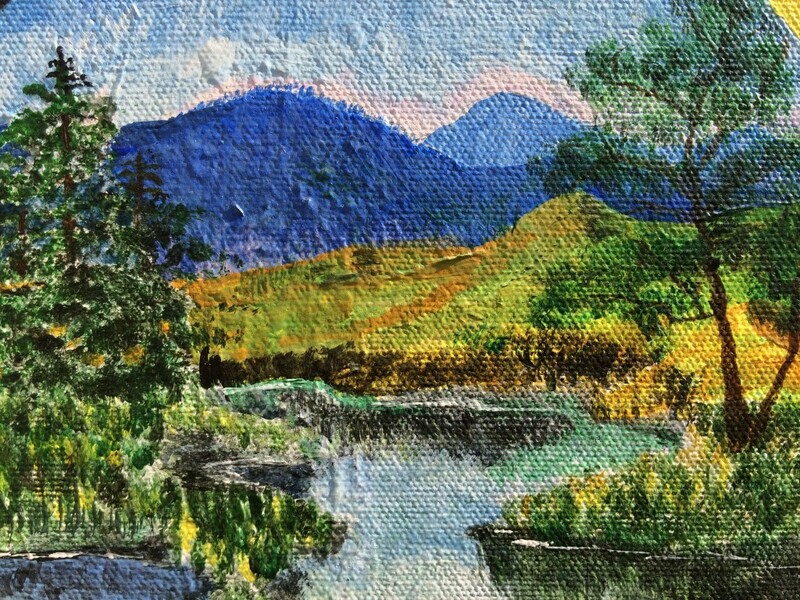 Original acrylic. 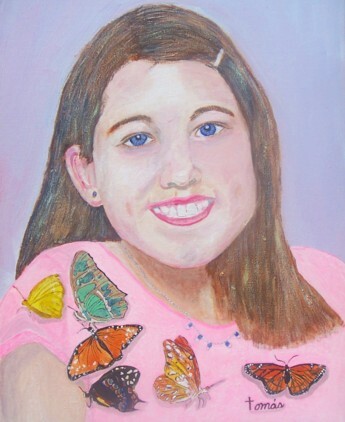 A portrait of Natasha, our granddaughter. 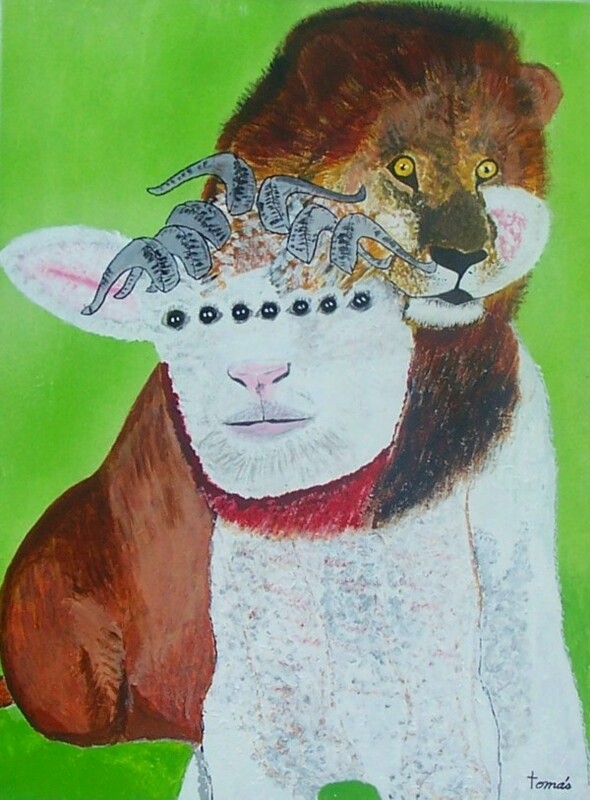 Original airbrush and acrylic painting of the Lion and Lamb as described in the prophecies found in the book of Revelation (Rev. 5:5-6). 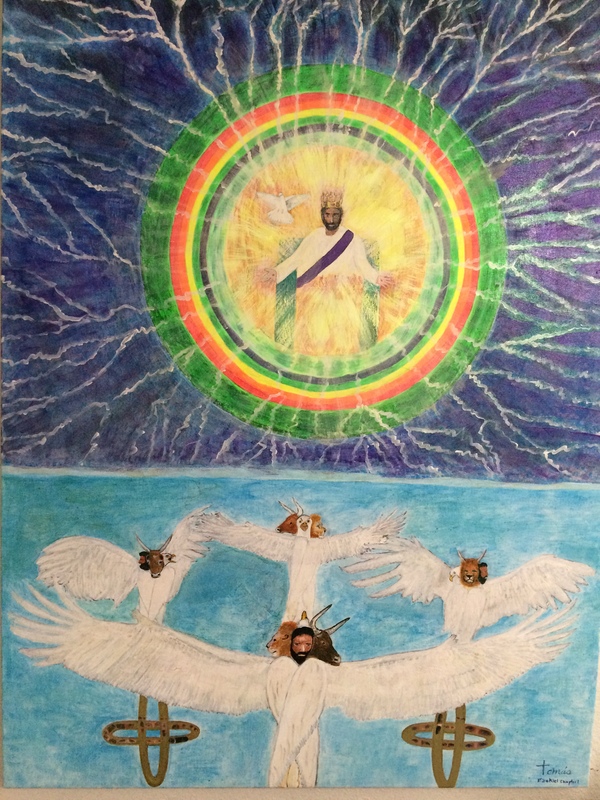 This is a picture of Jesus as victorious (the Lion) and as slain then resurrected (the Lamb). The marks of the crucifixion still remain on his hands and side as a reminder of what he did for us on the cross. The horns represent the power or authority he wields and the eyes represent the seven spirits or attributes of God also found in Revelation 1:4 and Isaiah 11:2. 18×24 canvas. 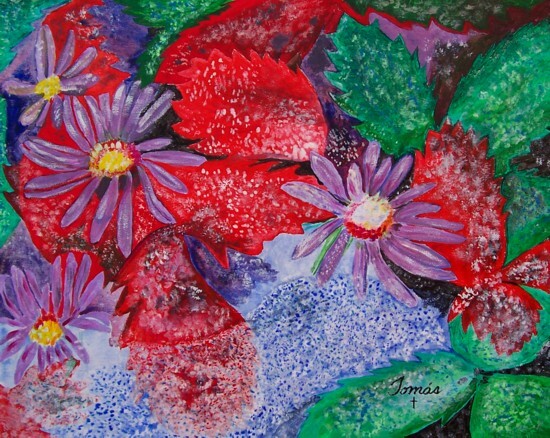 Original acrylic painting of flowers with vivid colors. Frosted Aster (Aster laevis) and Common Strawberry (Fragaria Virginiana). 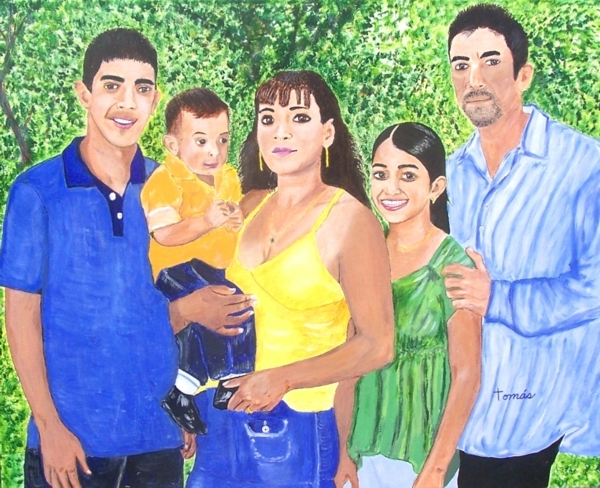 24 x 30 acrylic portrait of the Delgado Family. 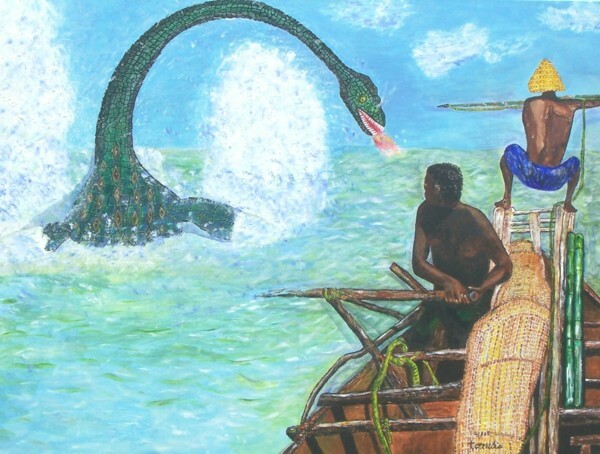 30 x 40 acrylic painting of Leviathan (Job 41). Genesis 1 God created everything and it was very good! 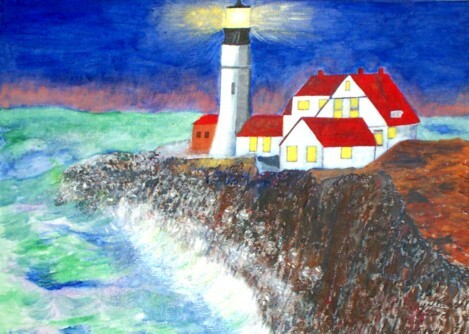 Original acrylic painting of a lighthouse in Portland, Maine. The light house represents Christ as the light of the world, John 1:9. Then too we are the lower lights in the houses Matthew 5:14-16. 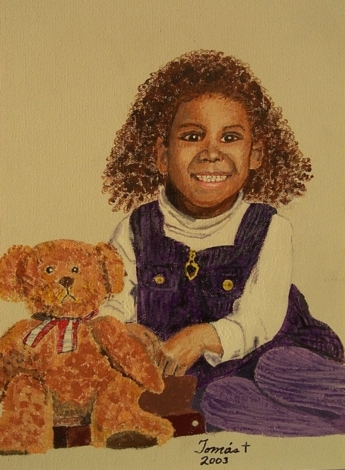 Original acrylic. 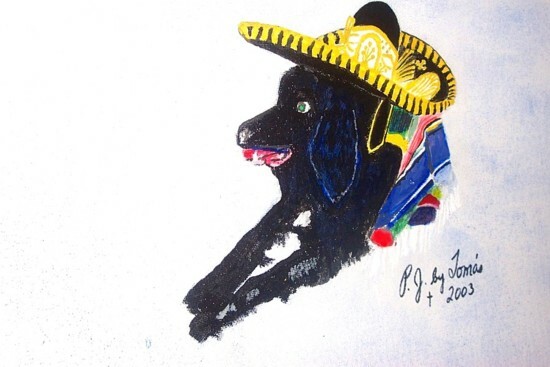 18×14 canvas. 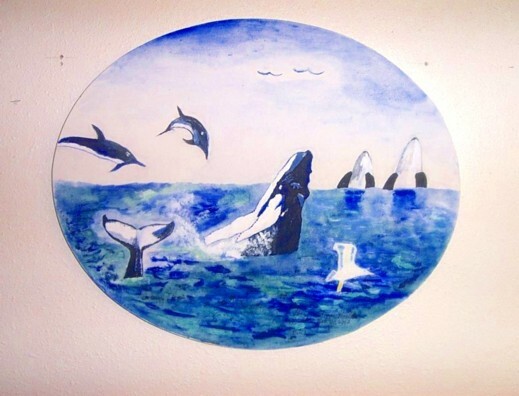 This painting speaks of God’s care for nature. Showing that he also cares for us. 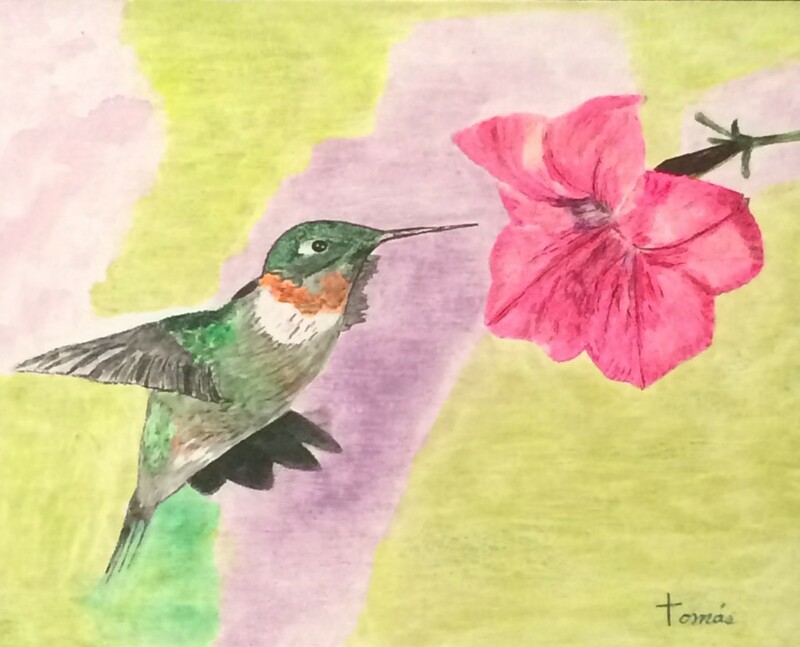 The reference, Matthew 6:25-34 talks about how God feeds and clothes the birds and flowers, and how much more he cares for us. 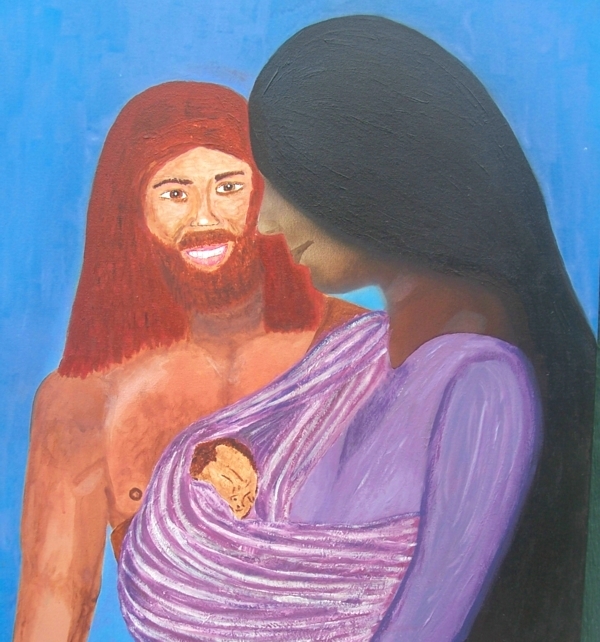 32×29 acrylic painting of Adam and Eve and their baby with Eve done in airbrush. God made their clothes to begin with, Gen. 3:20-21. , Gen. 4:1-2. 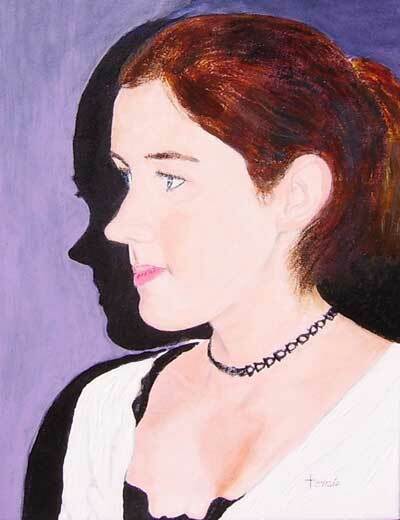 Original acrylic/oil painting. 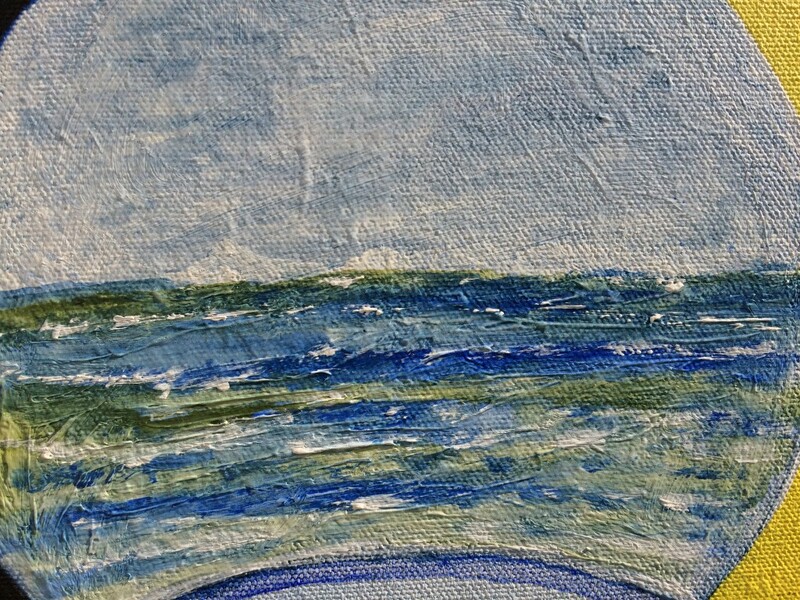 8×16 oval canvas. 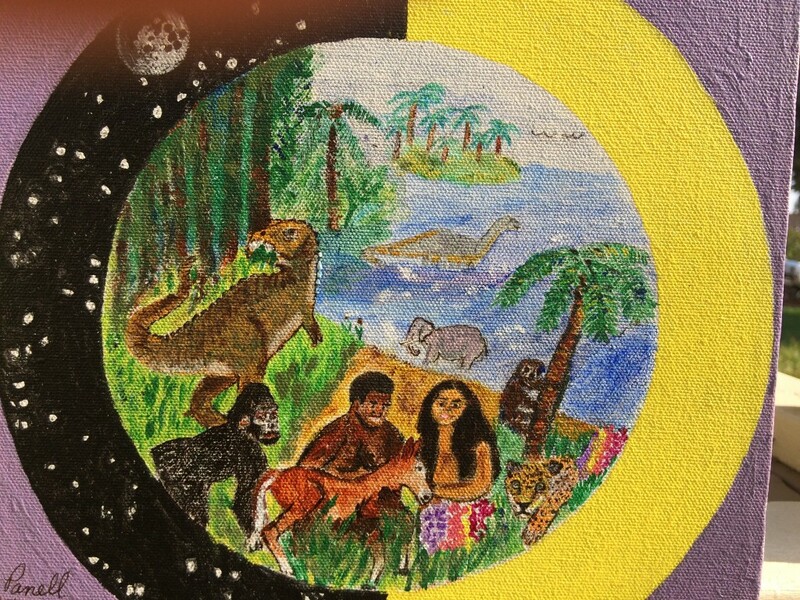 The painting is of the 5th day of creation. There are two humpback whales, one of these, only it’s tail is showing. Then two dolphins are leaping playfully out of the water. 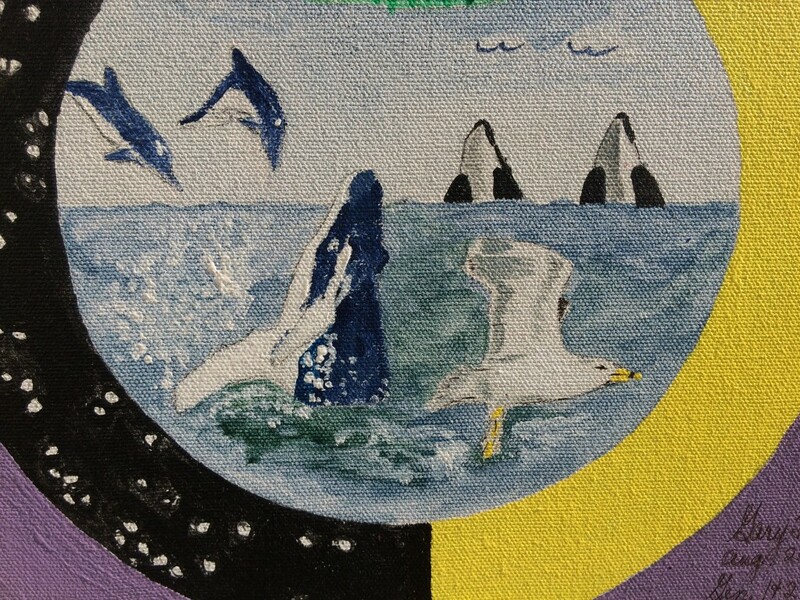 Two killer whales are seen in the background. Three seagulls are in the picture, two flying in the distance and one closeup. 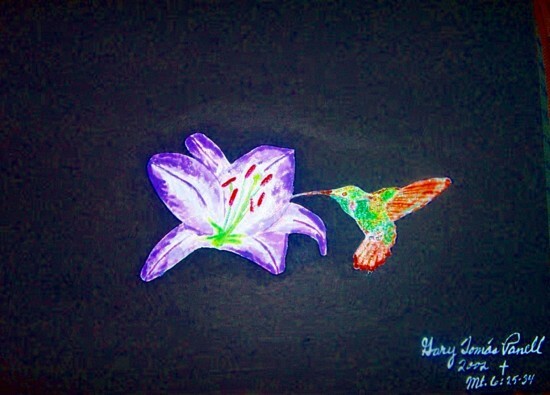 It all speaks of God’s wonderful creative ability, that is beyond our wildest imaginations! 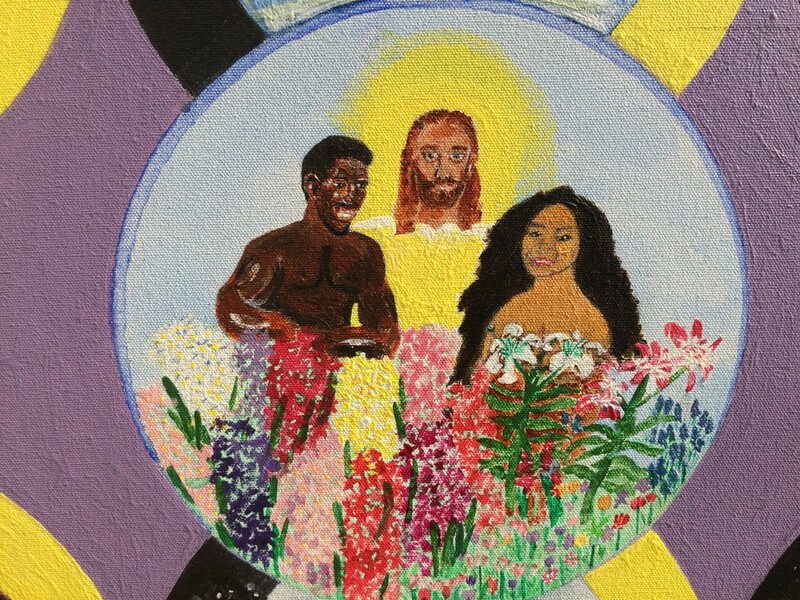 Original acrylic depicts Adam and Eve before the Fall. 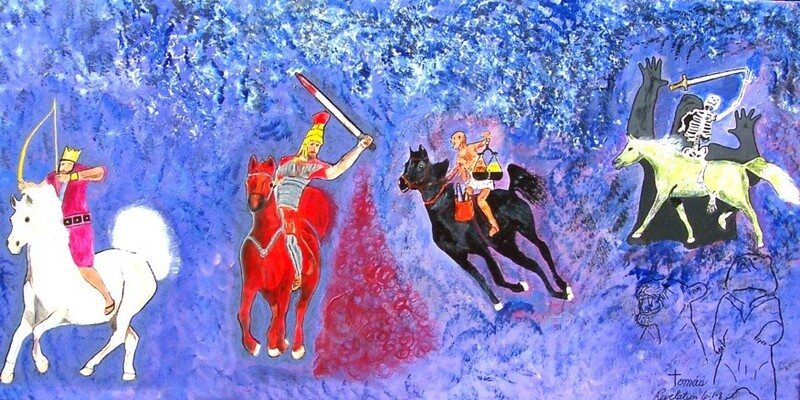 Original acrylic painting with some airbrushing depicting the Four Horses of the Apocalypes as described by John in the book of Revelation. Original acrylic. 16×20 canvas. 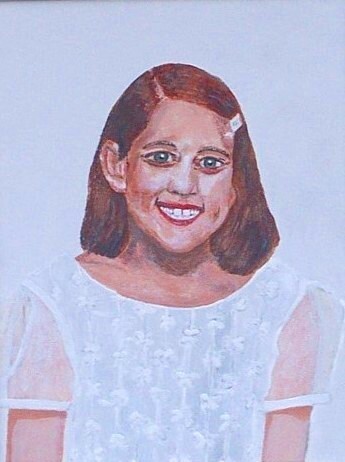 A portrait of Christiana, our granddaughter. 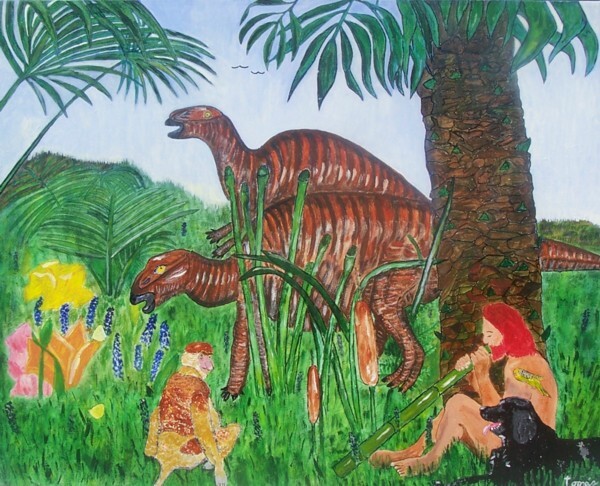 The picture is 24 X 30 acrylic painting on Job 40:15-24 described in the Bible as Behemoth, today in science as Tenontosaurus. 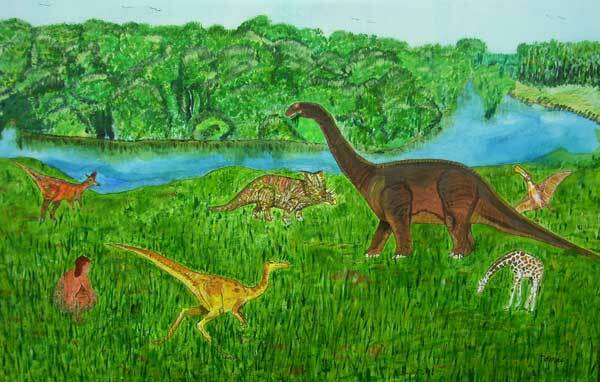 God says, “Look now at the behemoth, which I made along with you; He eats grass like an ox… This picture shows that dinosaurs did not die off a long time before man came on the scene. 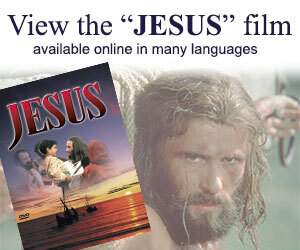 It also shows Adam in the garden dwelling together in peace with the animals before sin came into the world. There is also a Proboscis Monkey, a dog, three birds and two butterflies to show that all were created by God in the six days of creation. 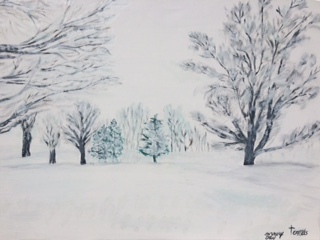 Original acrylic. 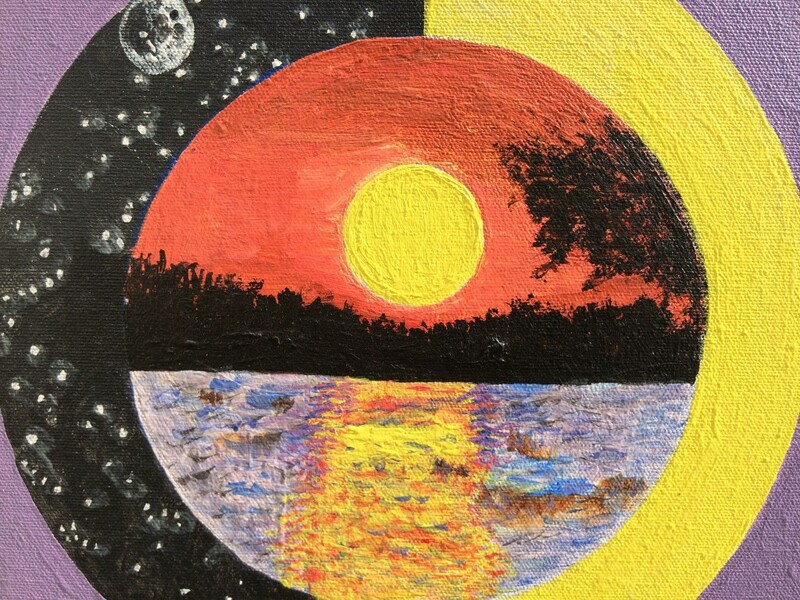 16×20 canvas. 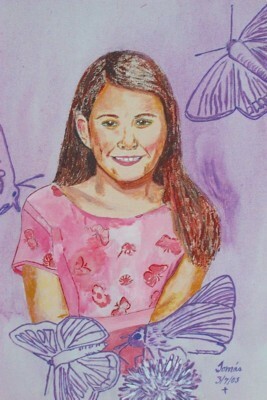 A portrait of Julie, our oldest granddaughter. 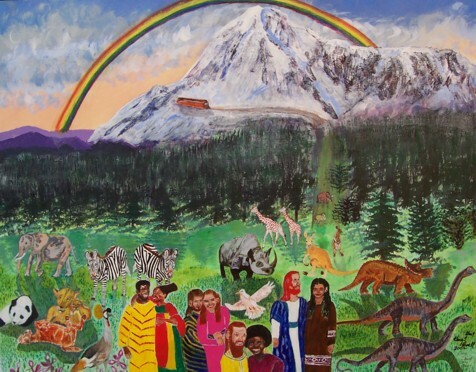 Original acrylic painting depicting the landing of Noah’s Ark on Mount Ararat. Noah’s Ark shows that dinosaurs went onto the ark along with the other animals. The animals were brought by God to the ark, and they also left as He sent them out. 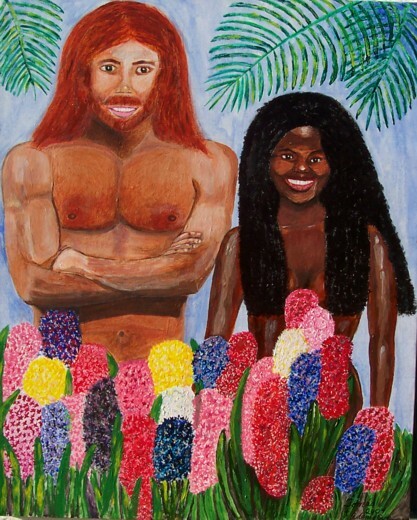 Genetically Noah and his wife had to be a mixture of physical traits. 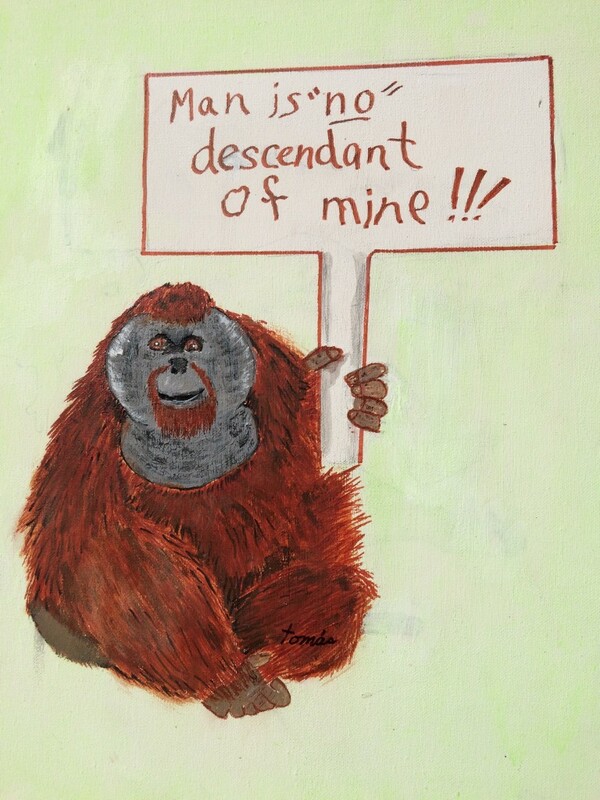 Their children would populate the world even as Genesis 10 and 11 says. 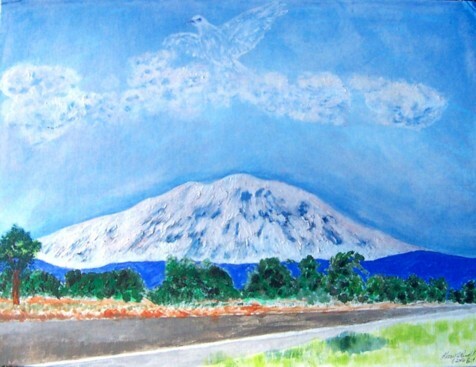 Original acrylic painting depicting a dove flying over the east side view of Mount Adams. 18×24 in gold colored metal frame. 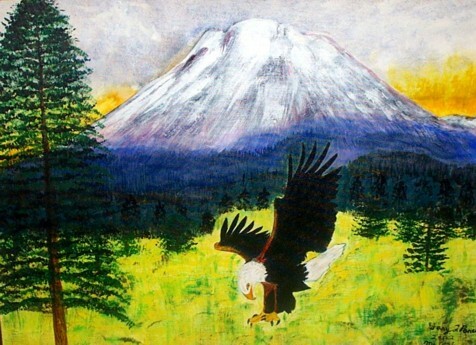 Mount Adams is being watched over by the Holy Spirit as in Genesis 1:2. 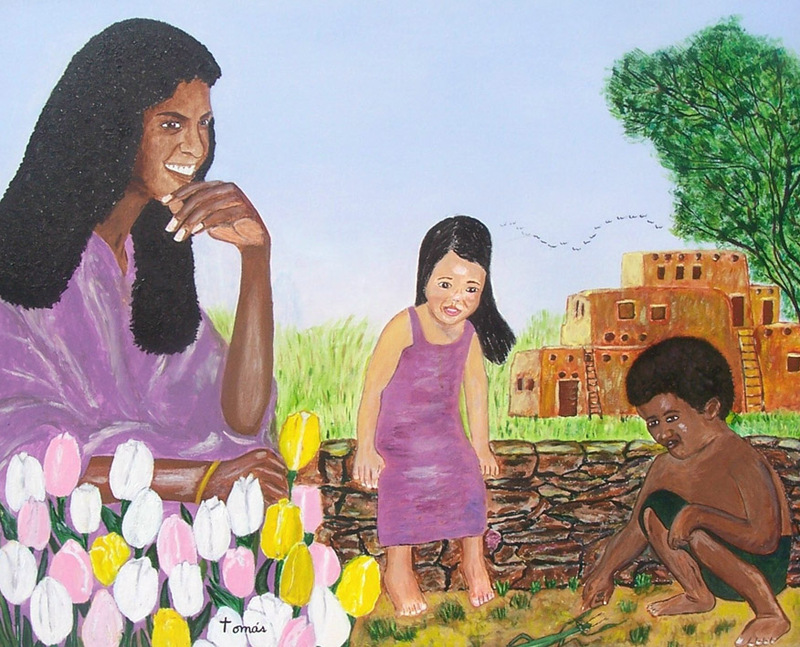 24×30 acrylic painting of Eve and two of her children. The sky is airbrushed. Adam and Eve had both sons and daughters (Gen. 5:4). 24″ X 36″, acrylic. 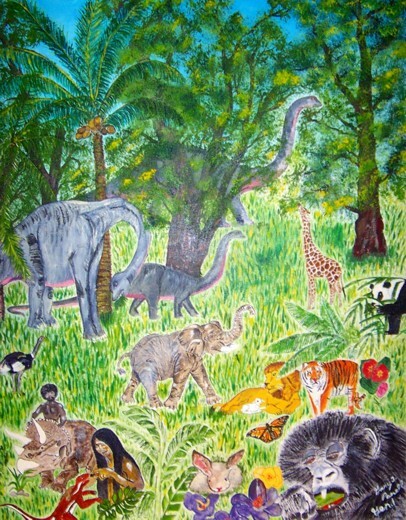 The painting depicts Adam in the Garden of Eden, along with some of the animals God created. Genesis 1:24-31. Original acrylic. 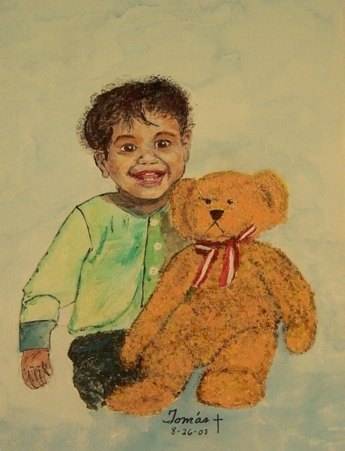 A portrait of Michael, our grandson. 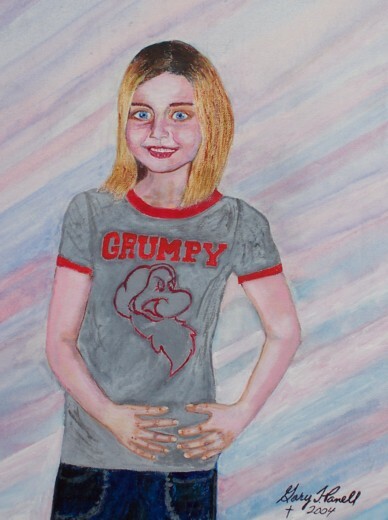 Original acrylic. 16×20 canvas. 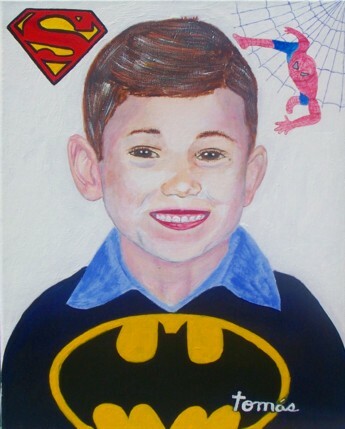 A portrait of Dallas, our grandson. 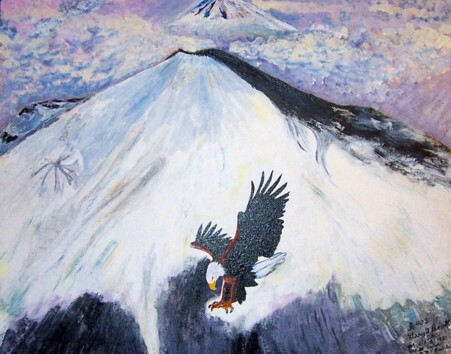 Original acrylic painting of an Eagle in front of Mt. Adams. 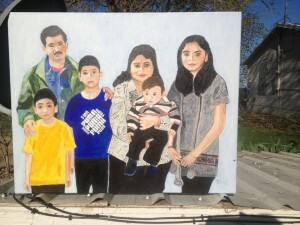 This is painted on a 24″ X 30″ canvas. Original acrylic. 16×20 canvas. 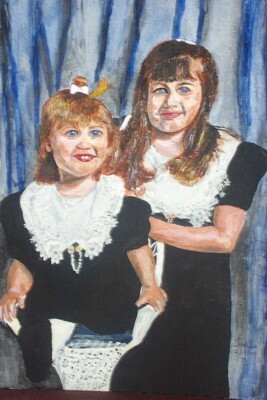 A portrait of Natasha and Angelica, our daughter’s children. 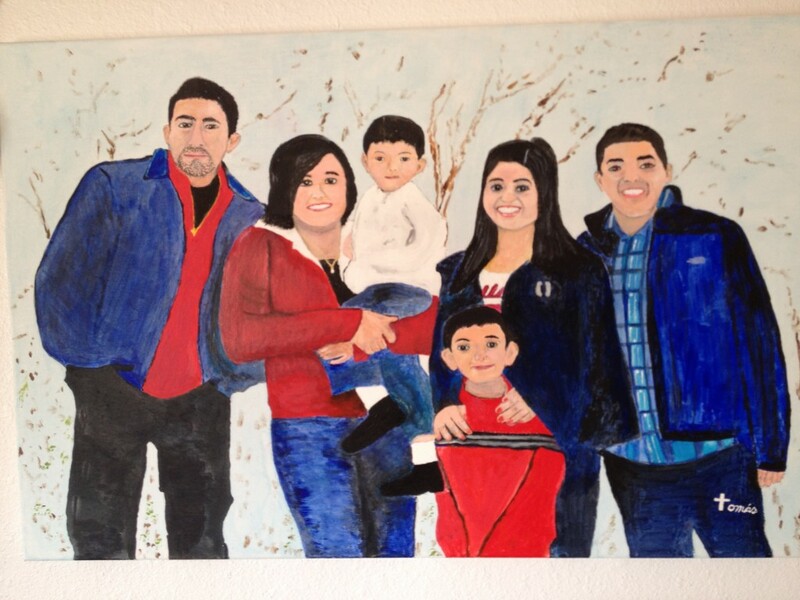 Original acrylic. 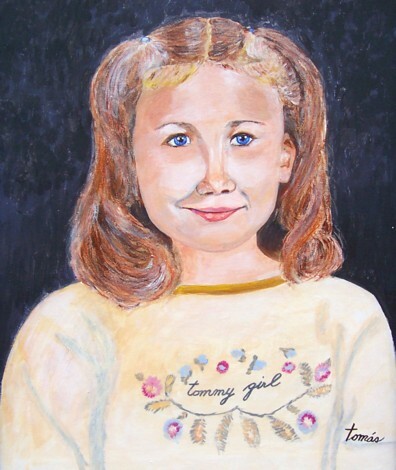 A portrait of Amanda, our granddaughter. 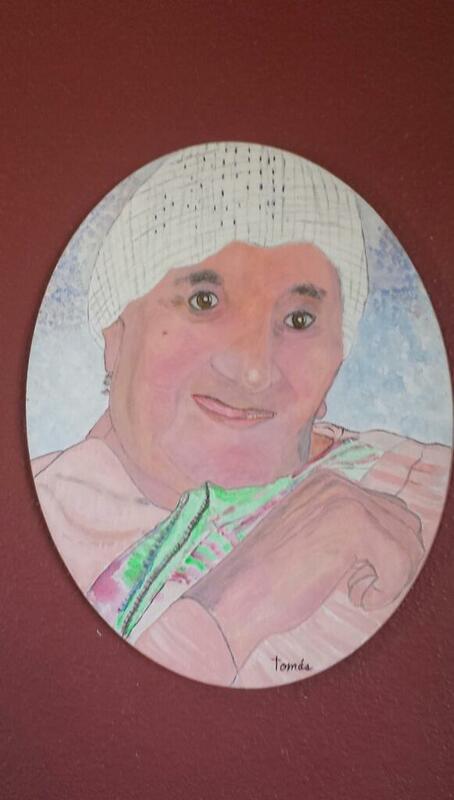 A portrait of our granddaughter Angelica. 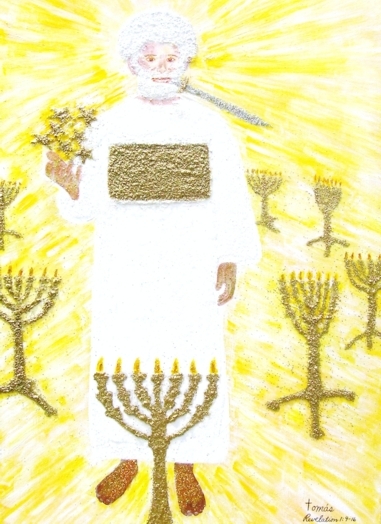 36×12 acrylic painting depicting Christ in the midst of the lampstands (Revelation 1:9-16). 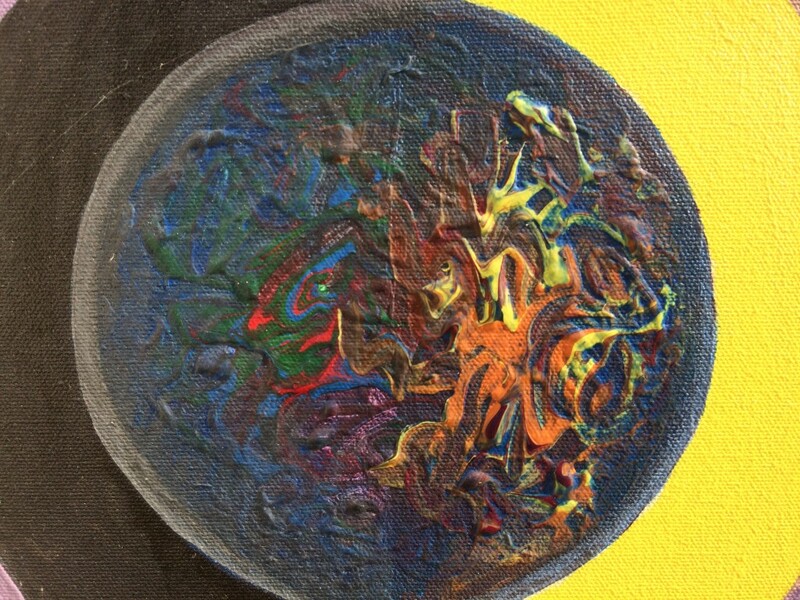 Day Seven of Creation (God Rested from Creating and visited with the people He had created).